An ongoing obsession with the color pink. Pink Diaries, Part I is the latest in a series from photographer Asher Moss‘s ongoing obsession with the color pink. With its sensual, raw pictures, Moss wanted to show the natural beauty of women without embellishing digital filters. Pink Diaries, Part I is the story of two girls somewhere off the grid finding warmth, only in each other. 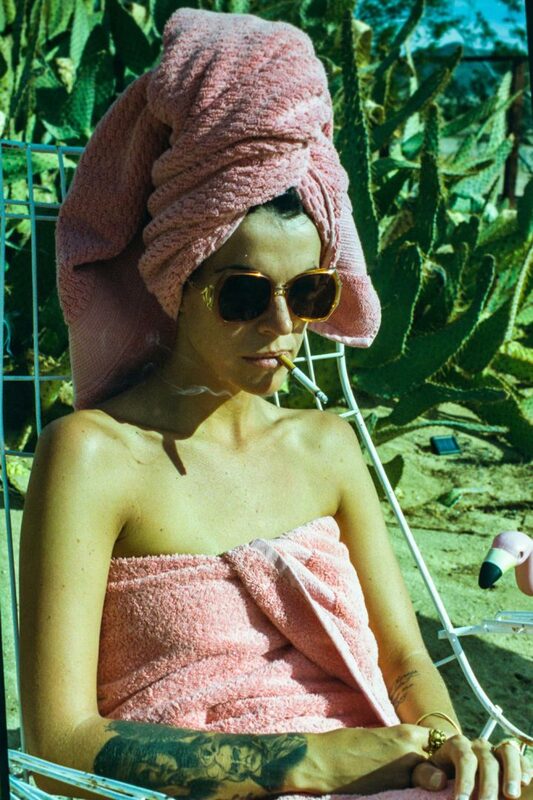 The photo story features Moss’s muse and her best friend high in the desert, affectionately living out his imagination. See more of his fantasy stories in his debut book Miss Lonely. All images © Asher Moss, Models Carly Foulkes and Melodi Meadows.